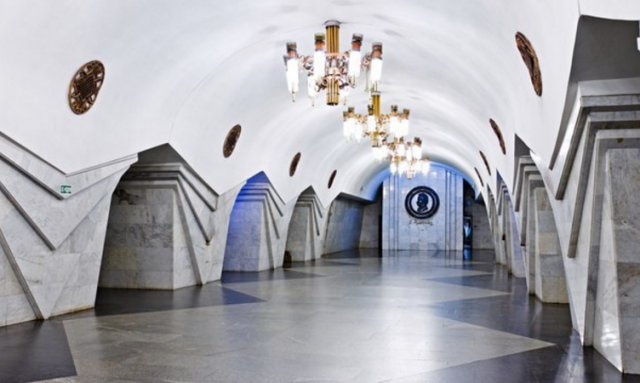 Wireless Wi-Fi network started working at the metro station “Pushkinska”. The press service of the Kharkiv Metro reported this on their page Vkontakte. “Wi-Fi is already working on the platform of the station “Pushkinska”. Installation works are continuing…” says the statement. Recall, Wi-Fi also appeared at the station “Kholodna Hora”, “Botanichnyi Sad” and “23 Serpnya”. In addition, the wireless network is working at the station “Maidan Konstitutsii”, “Istoruchni Muzei”, “Universytet”, “Derzhprom” and “Naukova”. And also Wi-Fi works on the central bus station of Kharkiv (Haharina Prospect, 22). We also recommend to read our articles: European Banks villas FINANCE Tae konstruktion of-Neuve Hark subway stations and follow the Kharkiv Metro in instagram.